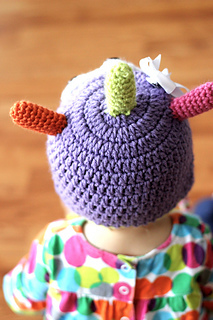 Need an adorable hat to keep your little one’s head warm this winter? This might be just the thing. 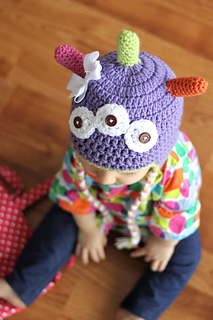 This friendly little monster hat is perfect for keeping ears and heads warm (especially if your baby is bald like mine). This hat takes under one skein of the main hat color and just small portions of the coordinating skeins. Additional sizes will be available in my Etsy shop soon.